The Amigo Hero 6 Plus Lite Turnout Rug is a full neck version of the popular Hero 6 Lite Turnout. 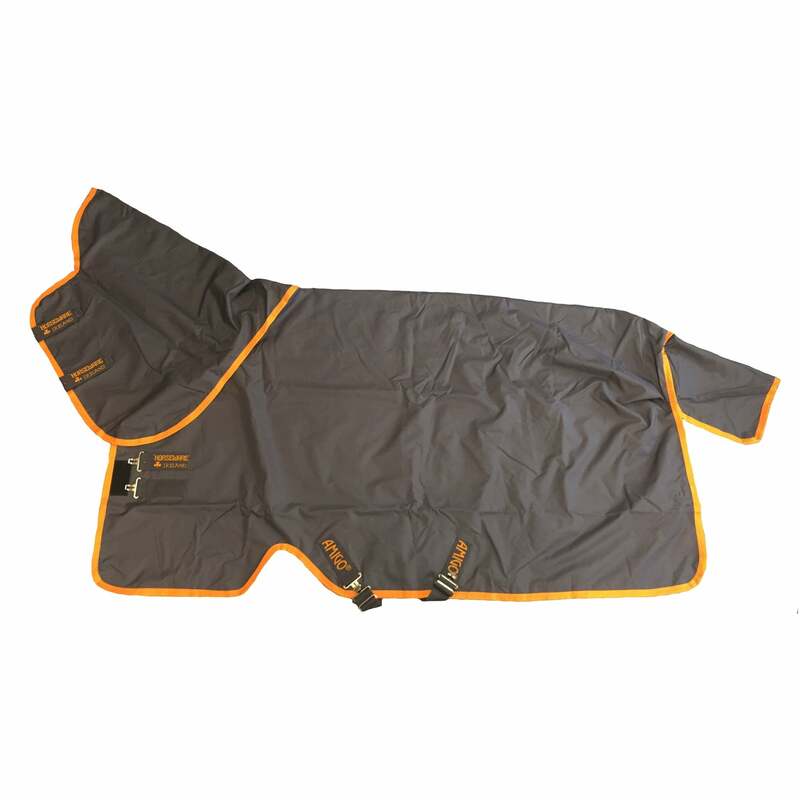 This lightweight turnout rug comes with a detachable neck cover to give optimum versatility and ensure your horse is dry from ears to tail! The Amigo Hero 6 collection is made from a 600 denier polyester outer and is fully waterproof and breathable with a full polyester lining. This rug has no fill so is ideal for wet summer months and keeping the rain off hardy breeds all year round. The neck on this Amigo turnout rug attaches with velcro through loops on the inside of the rug and is easy to take on and off. Made with the original Horseware fit that includes front leg arches for optimum fit and movement. Matching Amigo accessories are available for this Amigo Hero 6 Plus Turnout Rug.